The apostle Paul exhorted the Christians at Thessalonica to increase their brotherly love more and more: “But concerning brotherly love you have no need that I should write to you, for you yourselves are taught by God to love one another” (1 Thessalonians 4:9; Matthew 22:39). Then he points out some practical ways brotherly love can be accomplished: “that you also aspire to lead a quiet life, to mind your own business, and to work with your own hands, as we commanded you, that you may walk properly toward those who are outside, and that you may lack nothing” (1 Thessalonians 4:11-12). Notice that we demonstrate “brotherly love” when we “mind our own business” and do our work in a quiet manner. Some people cannot mind their own business because they are always trying to mind others business. I was walking past the mental hospital the other day, and all the patients were shouting, 13…13…13. The fence was too high to see over, but I saw a little gap in the planks, so I looked through to see what was going on. Someone poked me in the eye with a stick! Then they all started shouting 14…14…14. Minding other people’s business seemed to be a problem with some members of the church at Thessalonica. In his second letter to this church Paul wrote: “We hear that some among you are idle. They are not busy; they are busybodies” (2 Thessalonians 3:11). 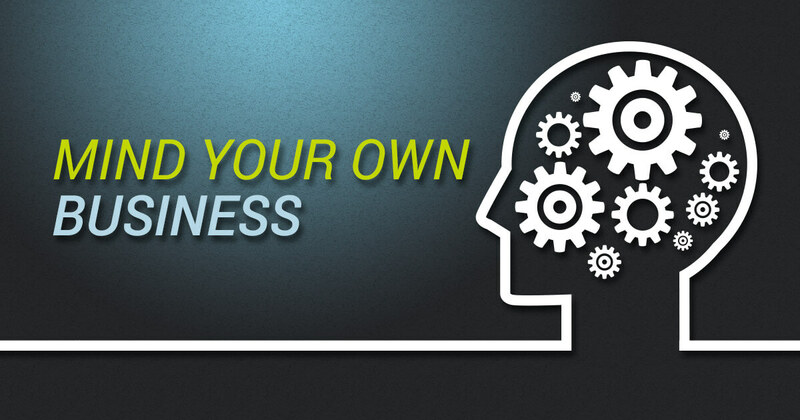 Let us make sure that we mind our own business and let everyone else take care of their own business. If we do not “mind our own business,” someone will poke us in the eye with a stick!